This story started a long time ago but the pressure has never escalated to such a high level. 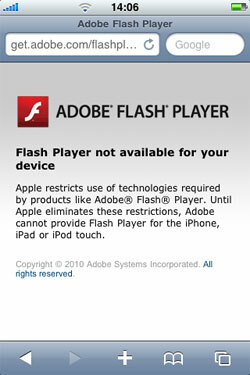 At least now it’s clearer than ever: iPhone won’t get Flash support. While company’s CEO didn’t say Adobe will stop trying to work things out with Apple, Kevin Lynch, the author of Adobe’s blog post says that the decision has already been made and Adobe is shifting its focus “away from Apple devices for both Flash Player and AIR”. That sounds like the end of the war between Apple and Adobe. Or is it another battle that is just about to start?